Kevin Sneader is the Regional Leader of McKinsey & Company’s Asian Offices and Global Managing Partner. Kevin is based in Hong Kong from where he will take up his new role on July 1st, 2018. He joined McKinsey in London in 1989. Since then he has been based in the Firm’s Beijing, Paris and Hong Kong offices before moving to the United States in 2001 where he became Managing Partner of McKinsey’s Washington DC, New Jersey and Philadelphia offices. Prior to becoming Asia Regional Leader, he served as UK & Ireland Managing Partner. Kevin first moved to Asia to join our newly opened Beijing office in 1995 and since then has worked across a broad range of industries within the region. 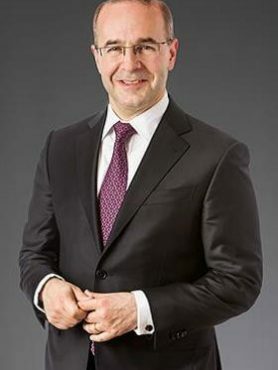 He is a frequent speaker on business topics at events across Asia, Europe and the Americas including recently, for example, the World Economic Forum, the International Advisory Council of the Mayor of Beijing, Tsinghua University, the Singapore Leadership Summit, the World Internet Conference and the Milken Institute. Kevin graduated from the University of Glasgow with a First Class Honours degree in Scots Law and from the Harvard Business School where he received an MBA with Highest Distinction and was both a Baker and Fulbright Scholar.